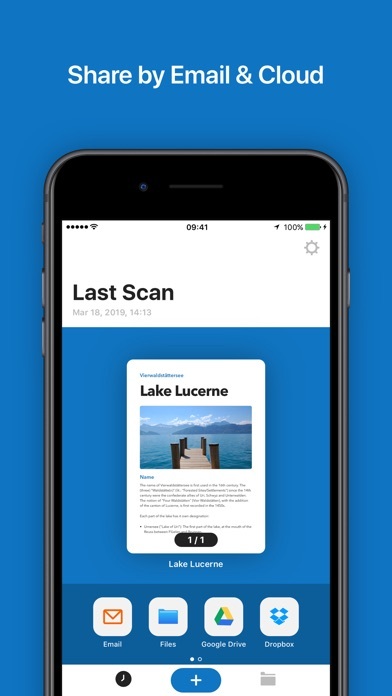 Tiny Scanner Pro - The little app that scans everything * Scan documents, photos, receipts, or just about anything * Lightning fast and gorgeously designed for both iPhone and iPad * Batch mode combines multiple scans into a single PDF IS THAT A SCANNER IN YOUR POCKET? 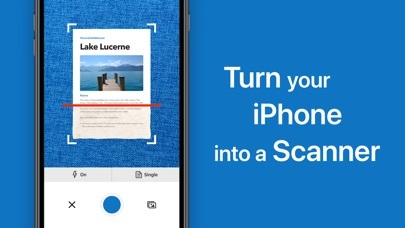 Tiny Scanner turns your iPhone/iPad into a portable scanner. 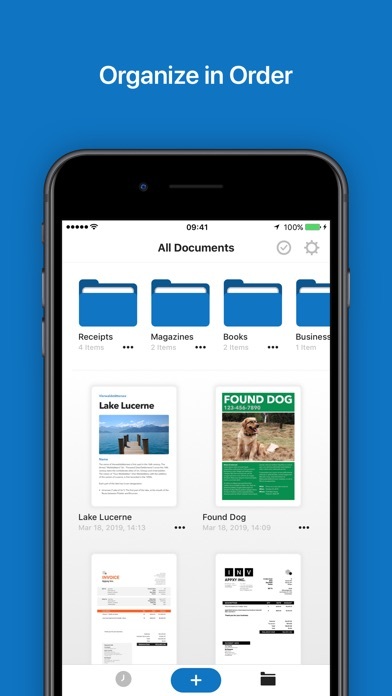 Scans are saved to your phone as images or PDFs. Name and organize your scans into folders, or share them by: - Email - Airprint - Dropbox, Evernote, Google Drive, or Box - Wifi directly to your computer - Fax using Tiny Fax Tiny Scanner has all the BIG features you need: * Scan in color, grayscale, or black & white * Page edges are detected automagically * 5 levels of contrast for crisp monochrome texts * Set page sizes for PDF (Letter, Legal, A4, and more) * Thumbnail or list view, sort scans by date or title * Quick search by document title * Protect your documents with a passcode * Universal – a single app that works on iPhone and iPad too! GOT QUESTIONS? CAN'T FIGURE OUT HOW TO DO SOMETHING? Please email us at tinyscan@appxy.com, and we’ll help you figure it out. I love this app! I use for documents and all the receipts I need to turn in for reimbursement. I love that you can use it without having a printer or scanner. It makes it easy to scan things with a mobile device. User friendly and creates amazing pdfs The email feature isnt working. Once the pdf is created, you have the option to send the pdf via email, bit once in the email window, the “send” button is a light grey and unclickable... so yea.. cant send via email. 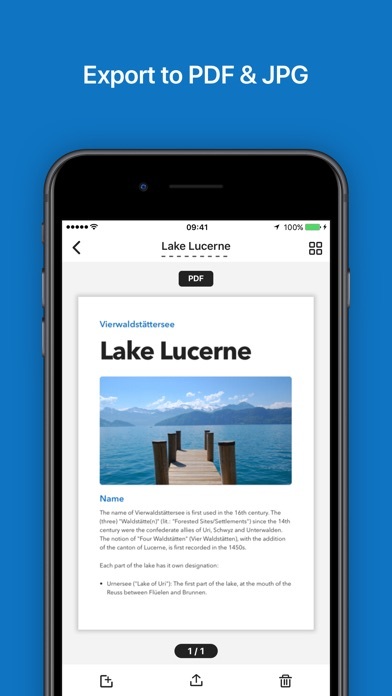 I love the app so much i decided to keep it anyways and send the pdfs to my computer via airdrop. ***please fix the email feature, then your app will be perfection! I used to be a microfilm cameraman for a legal records reproduction company. I wish I had this app in those days. So easy to use and files can be saved to numerous apps and locations on your network. Much to my dismay, this formerly five star app, which saved me so much time over the years, has become very finicky to work with. The update caused a complete change to format, look, and functionality. With the update, I am constantly having to retake all of my photos because the photographic color quality that I’m looking for only applies to the first image I take. Or, conversely if I am looking for black and white line work, it only applies to the first image. Also my file organization is to completely confuse now. It used to be so simple and user-friendly! Please bring it back! The single best app for converting paper receipts and other documents into pdf format for sharing or uploading. The 'Email me' feature makes it possible to upload every receipt immediately after checkout in under 30 seconds. The quality is crisp and there are features to improve contrast / lighting if you need to. The auto flash feature is also great since it helps take accurate images even under poor lighting conditions and shadows. This has made my life a hundred times easier since I started traveling for work, I configured the 'Email me' address to my work email so all my receipts are in my inbox when it comes time for me to do my expenses at the end of the month. It's a decent scanner in a pinch. I suggest you put whatever you are scanning on a much darker or lighter surface when taking the picture. 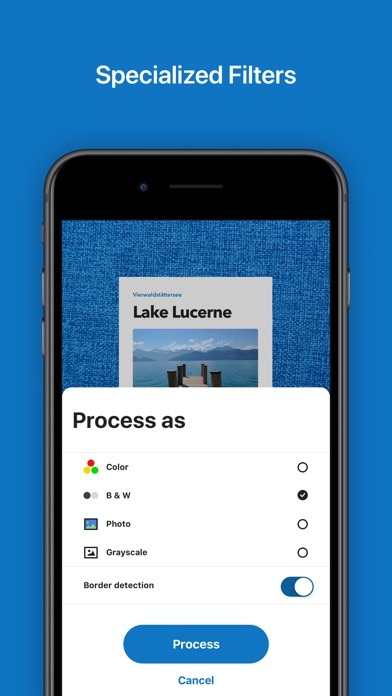 The app will be able to distinguish the edges of your scanned item better if the background is very different in color.